Aomori Prefecture is at the northern tip of Honshu (the largest island of Japan). Like many casual visitors to Japan with no ties to the country, I had never heard of Aomori. 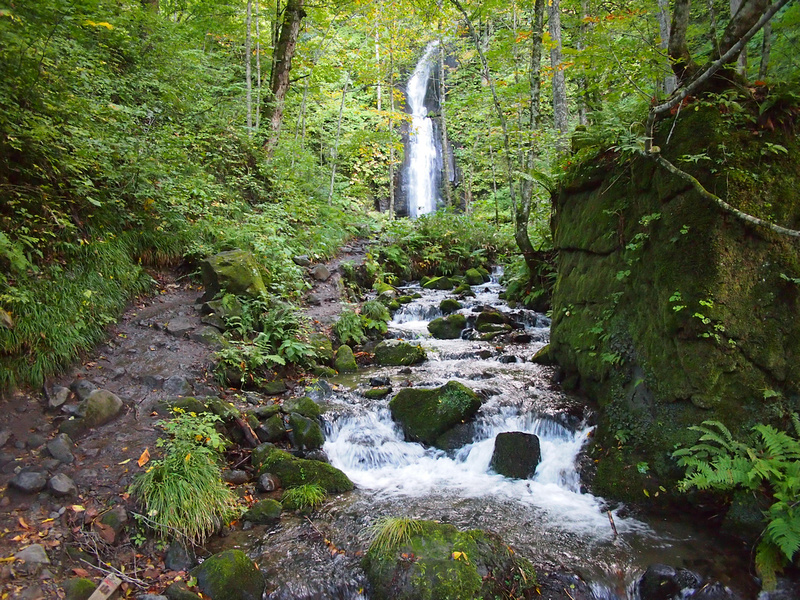 There are 47 prefectures (like a province or state) in Japan, and Aomori is one of the lesser visited of Japan. I visited Aomori Prefecture as a guest of the tourism board, in conjunction with a visit to Tokyo. This was part of a campaign to highlight interesting places to visit beyond the most well known destinations in Japan. There is more to Japan than Tokyo and Kyoto, so here is Aomori Prefecture as another place to consider. Lake Towada is the largest crater lake in Honshu island, and the lake reaches a depth of 327 m deep. There are excursion boats that crusie around the lake, and more active visitors can canoe or camp around the lake. 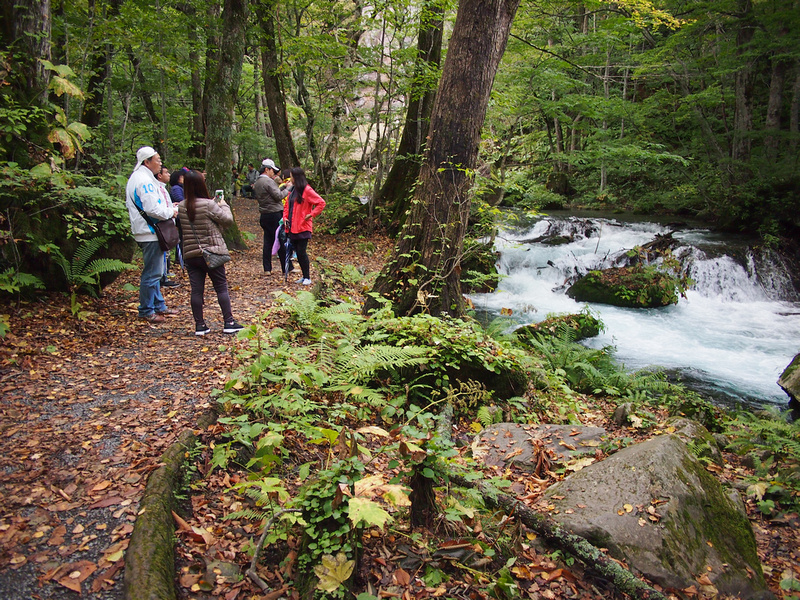 The Oirase river flows from Lake Towada to the Pacific Ocean. The first 14-kilometre section from the lake is known as the Oirase Mountain Stream. 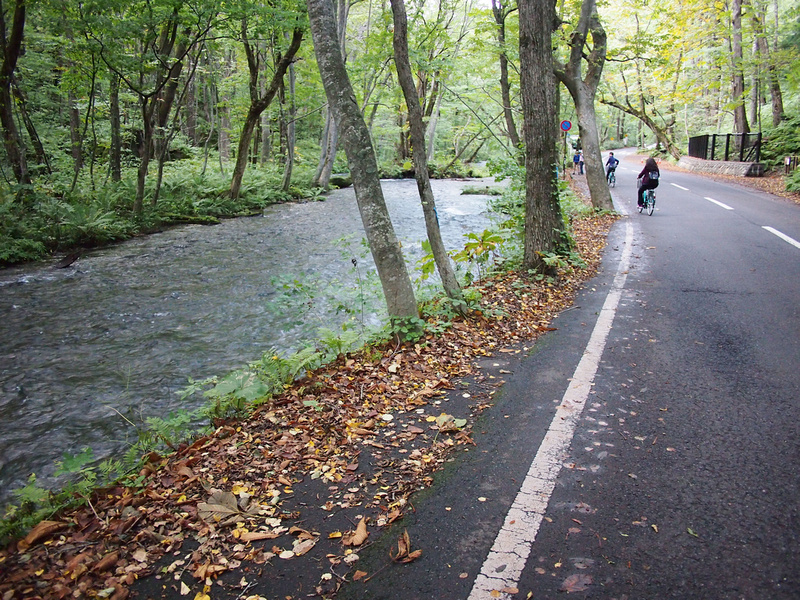 The bus from the train station to Lake Towada travels along a road that follows the stream and stops along the way. It would have been cruel to drive along this road and not stop. 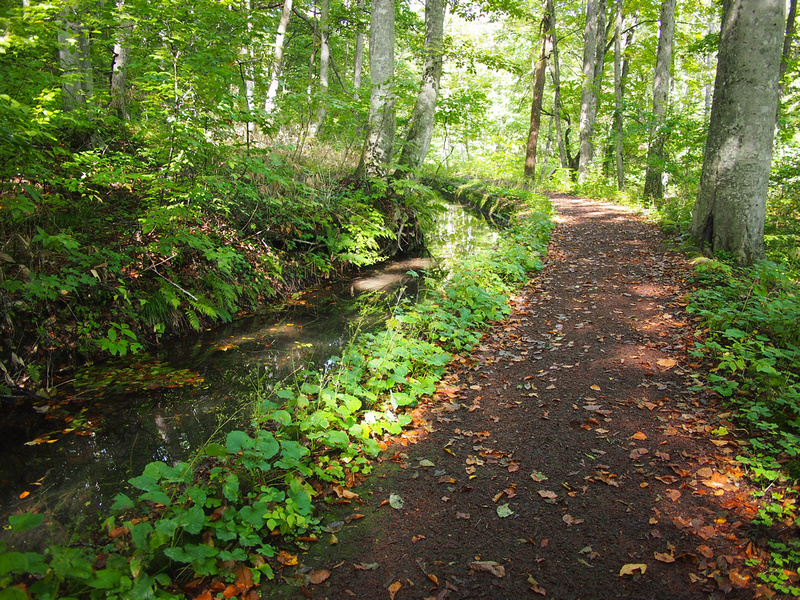 The best thing to do is to start from Lake Towada and walk or cycle along the path. The road hugs the stream so you get the view when cycling. There is also a dedicated walking path, so you get off along the way to explore further. There are numerous waterfalls along the way, and the forest surrounding the stream is stunning. As someone who is based in Southeast Asia what I was most impressed with was how clean the stream and surrounds were. I became conscious that there was no rubbish in the stream, to the point that I kept on the lookout for the odd bit of rubbish. The other notable point was how relatively easy it was to get here. I usually associate such pristine natural environments with an arduous journey. So even city-folk like myself can enjoy the goodness of nature in comfort. 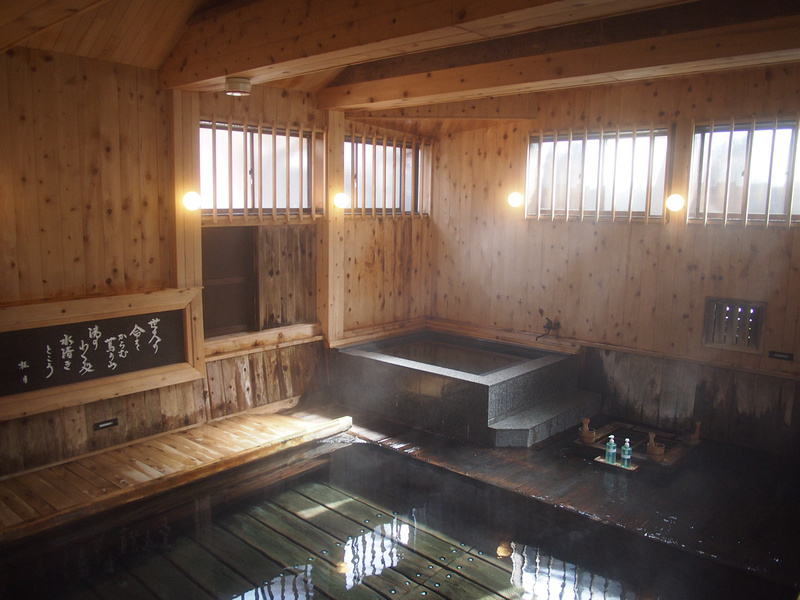 Onsen are hot springs and baths that is can be found throughout Japan. Being a land of volcanoes there are onsens everywhere. 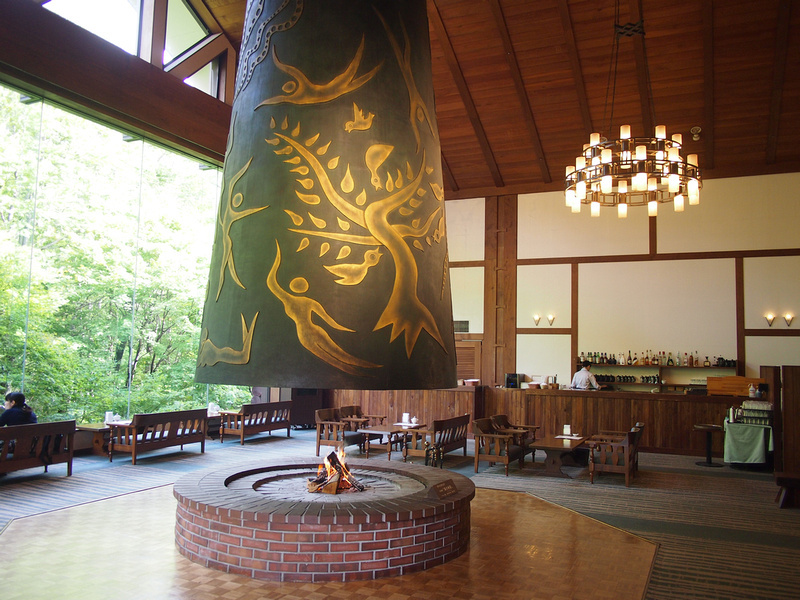 Tsuta Onsen is one the most well-known in Aormori. The facility is over 100 years old, and people have been known to bathe here since the 1100’s. You can visit an onsen in Tokyo, but I think if you are experiencing one for the first time then go for one in a more natural setting. The Tsuta Onsen is surrounded by a forest and has walking paths to a nearby lake called the Tsutanuma Swamp (which looks nothing like a swamp I am used to – i.e its clean). Mount Hakkoda is between Aomori City and Lake Towada. 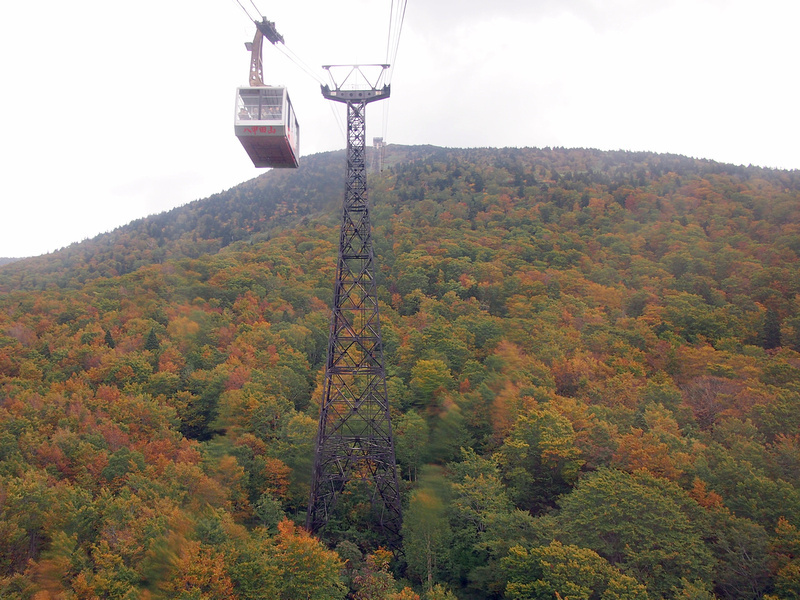 There are ski runs here in the winter, and in September/October it’s popular for autumn foliage spotters. We were there at the end of September and the leaves were starting to turn yellow, with more autumnal colours the higher up we went. Ahh if only I could have seen it in mid-October. 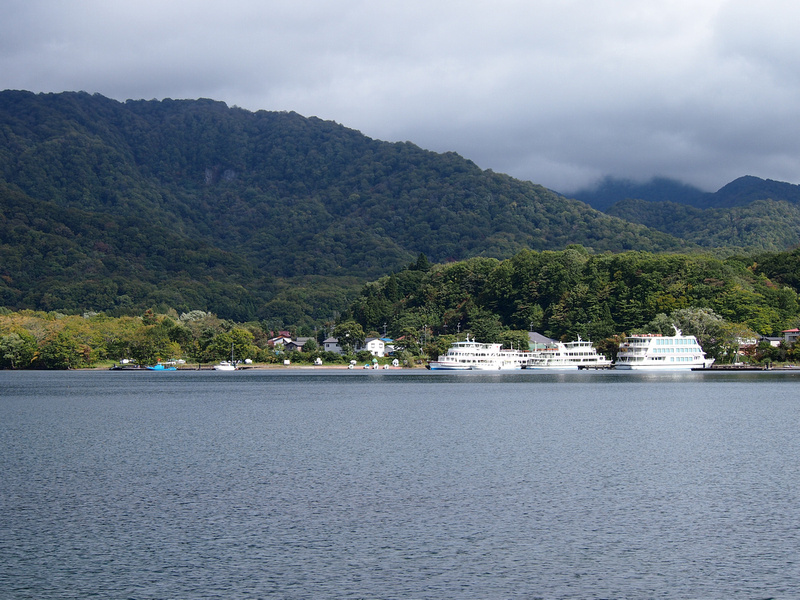 There are walking paths, or take the easy and scenic way with the Hakkoda Ropeway. It started raining just as we got to the top, so I didn’t get to walk the trails on the peak. Aomori is a sleepy prefecture capital city, yet for one week a year it hosts one of the most famous festivals in Japan. Nebuta is held between August 2nd and 7th, where illuminated paper lantern floats take over the city streets. If you can’t make it to Nebuta (or like me, didn’t know about it until you got here), the next best thing is to visit the Wa rasse Nebuta Museum. 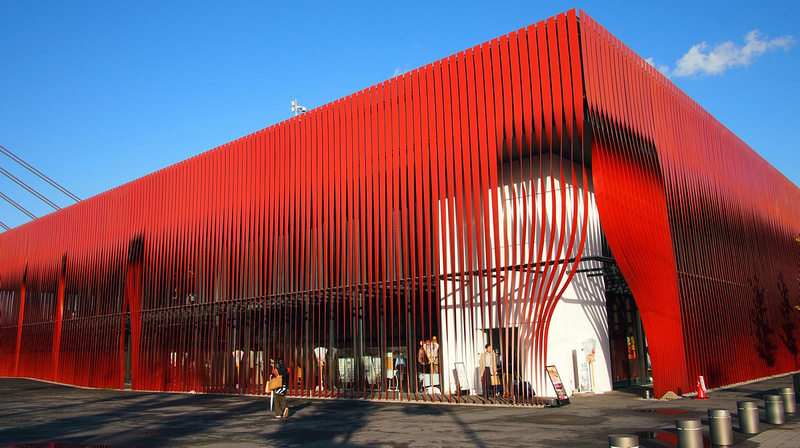 This stunning purpose-built museum houses Nebuta floats from previous festivals and has information and exhibits on the festival. Aomori Prefecture is also famous for apples, with the region being the biggest apple producer in Japan. You will see apple-related products everywhere, but the best place to go is the A-Factory food hall. There are lots of unique gift items here as well as a variety of non apple related food products. Cider fans should check out the on-site apple cider brewery. The A-Factory is near the train station (not the Shinkansen station) so it’s a good spot to hang out before getting a train. We stayed at the Hoshino Resorts Oirase Keiryu Hotel which is next to the Oirase Stream, and the start of the walking path to the lake. Read my review here. 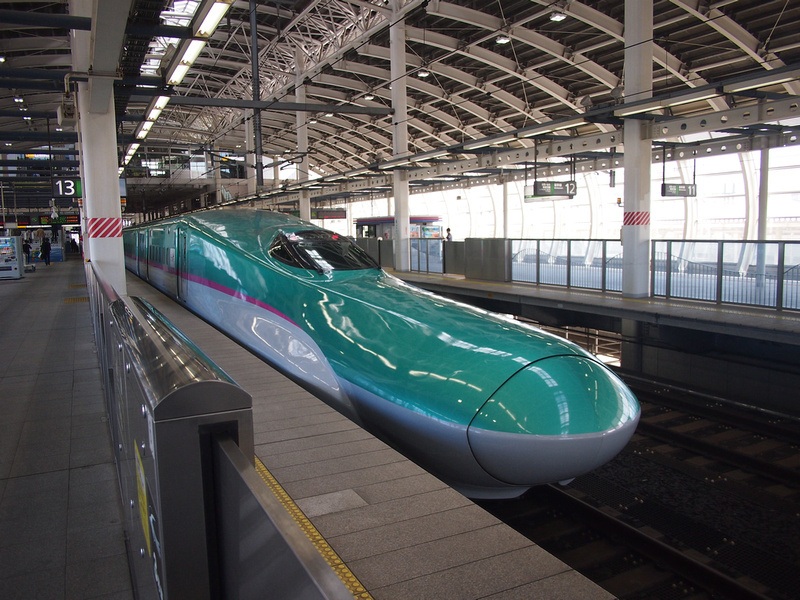 The best way to get there is by Shinkansen. We got the train from Tokyo which takes about three hours. To get to Lake Towada we got the bus from Hachinohe station. 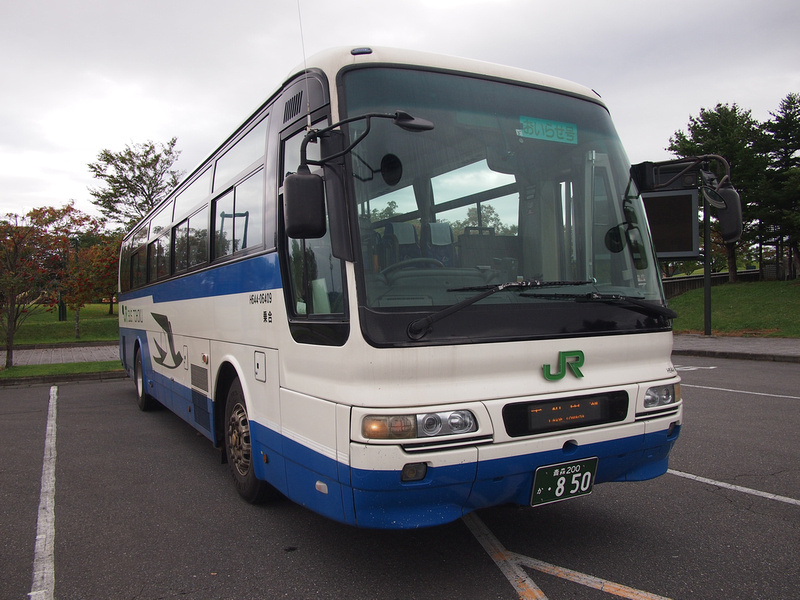 I wasn’t enthused to get a bus, but then I had never caught a bus in Japan before. The bus to Lake Towada was waiting at the station, timed to meet the train from Tokyo. Like every other travel experience I had in Japan, the bus was easy and efficient. Returning to Tokyo we got the Shinkansen from Aomori City. An itinerary suggestion would be to stop in Aomori before continuing to Hokkaido via the Seikan Tunnel. JR-EAST (the Shinkansen railway operator) have also put together sample itineraries for Aomori. 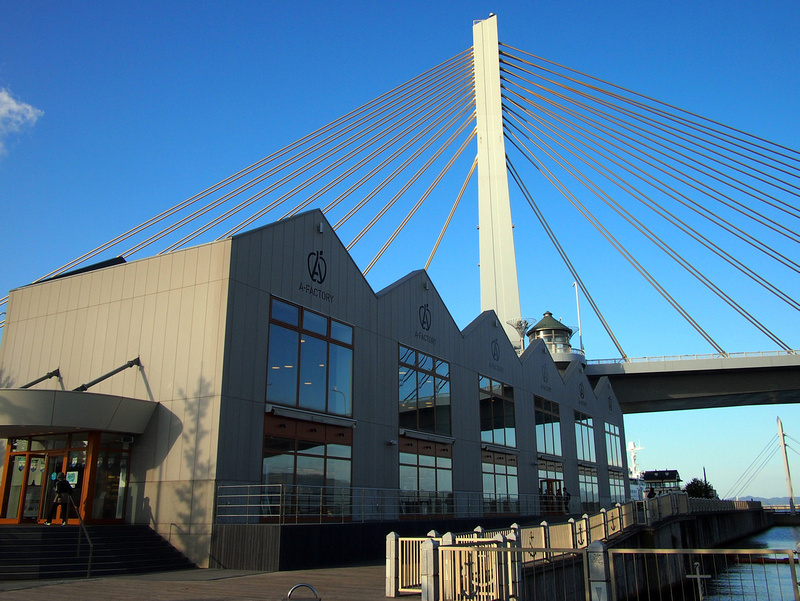 Aomori – Official prefecture tourism site. Aomori Prefecture – Official information from the Japan National Tourism Organization. Aomori Hotels – Search and compare hotels throughout Aomori. Japan Travel Insurance – Japanese hospitals are world-class, but it’s not something you want to pay for yourself should you find yourself in need of medical assistance. For researching Aomori and other prefectures you might not thave thought of, go old-school and get the Lonely Planet Japan. I still prefer guide books when preparing for big trips to places I don’t know anything about.